NYFW started off with freezing temperatures. I actually put two different outfits together in my outfit above just to keep warm. 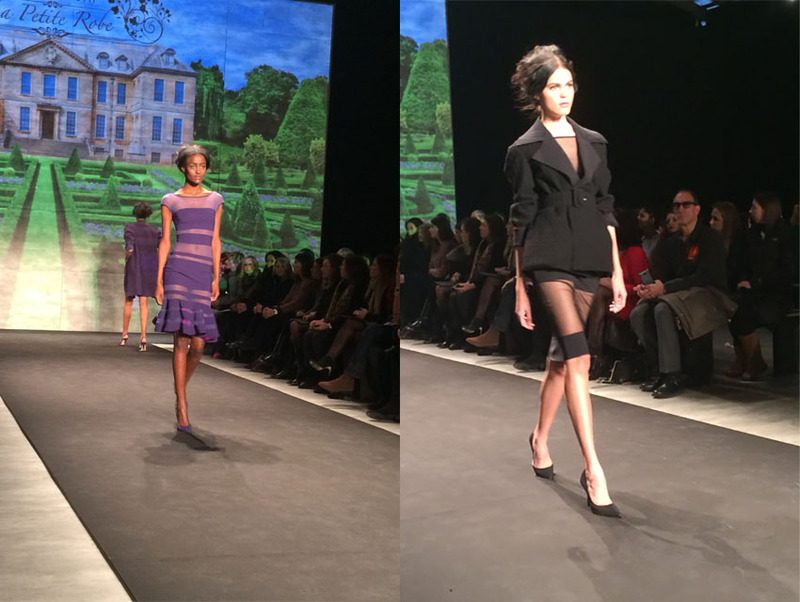 My first day started off early with the Le Petite Robe show and was it beautiful. The bright colors and feminine designs took my breath away each time a model walked out. Classical music was playing and the final walk was such a beautiful mix of purples, pinks and blacks. 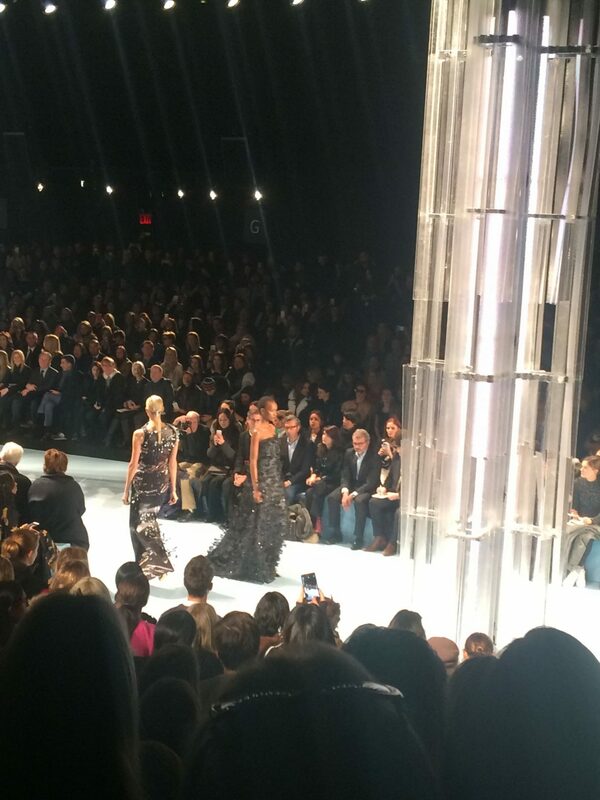 My second event of the day was the Carolina Herrera show. I may not have been able to sit front row like the Le Petite Robe Show but it was still a great experience to be able to see Karlie Kloss walk last in such a beautiful gown. The music was much more upbeat during this show and it was as if the models were marching down the run way verse flowing. Even with the louder music and models marching, Carolina’s designs still stood out above it all. Even from where I was sitting the gowns still had such detail to them and you could just see them shining from all the crystal on the runway. 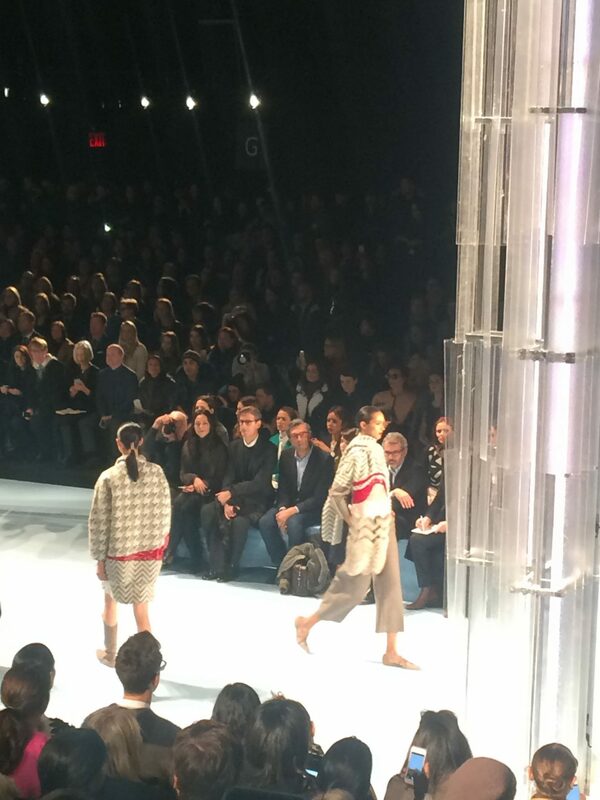 I loved the wool designs and they way she added textures into her coats and scarfs, such beauty on this catwalk. I was also able to meet and talk with my Style Icon, Blair Eddie after the Carolina Herrera show! All in all, my first day was fantastic. I believe it, it's just brutally cold right now! Love your white coat, and the pop of neon is so fun! It's been freezing! But that skirt looks adorable and love the white coat! You. Met. Blair?!?!?!?!?!?!??!?!??!? Oh my goodness! Yay Beth! I've only been in touch with her via email a couple of times and she is one of the sweetest people on this earth! I love her! I don't know how you managed to look so cute in freezing weather, but bravo girl! You look so chic! I'm loving that trenchcoat and that skirt is so fun! Love this look! I love the pop of color in that skirt and I really love your coat! Looks like it would have been such a fun thing to attend!